for sale, delivery, and installation! 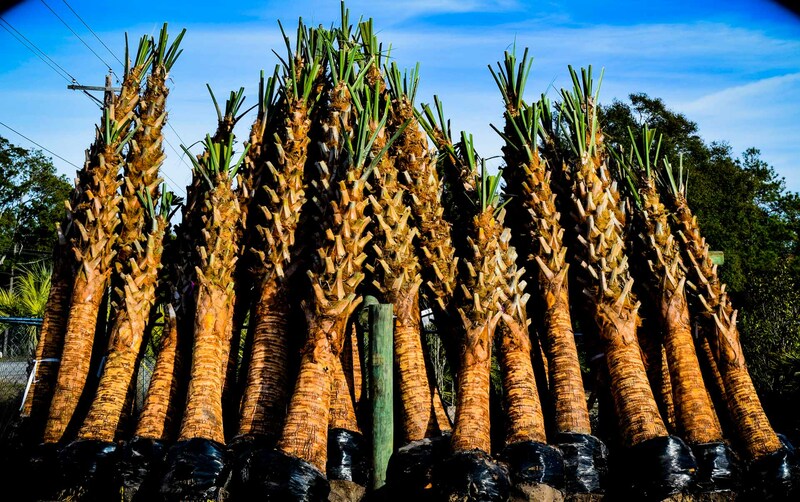 Stop by and see our inventory of plants, shrubs, flowers, and palm trees! Brunswick County's best selection of shrubs ready for delivery and installation! Allow our experienced crew deliver and install your new trees, shrubs, and flowers! 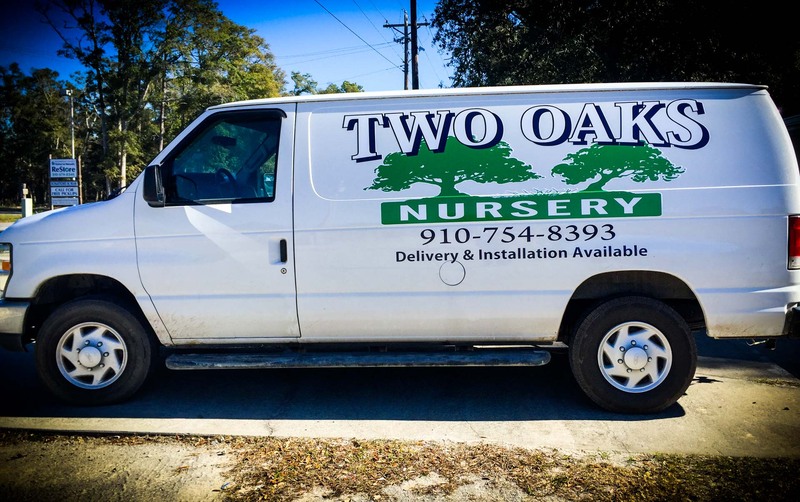 Two Oaks Nursery is the newest part of our family's landscaping business. We have NC landscaping and irrigation contractors with over 25 years experience in Southeastern North Carolina on staff. We offer landscaping design and installation, irrigation installation and repair, and now we have the perfect spot for you pick your favorite plants and trees. We’re able to provide an inspiring setting for your home by having expertise at every stage. From highly experienced landscape designers to trained craftspeople and landscape crews, we ensure a top-level product with top-level people. We use technology to provide a high level of service while keeping costs low. All of our vehicles have tracking devices in them, which help our maintenance crews stay on schedule, encourage safe driving, and allow us to keep accurate records of our services. We meet or exceed all insurance and licensing requirements for landscaping companies in the locations that we serve. We carry both General Liability and Worker's Compensation insurance, so you can feel completely confident working with us. We offer FREE consultations for landscape design services, and will provide you with an actual quote - not just an estimate - for your landscape design project. We also provide renderings for landscaping design projects to make sure you get the look you want. 1600 Frink Street, Ocean Isle Beach, NC 28469. Two Oaks Nursery is a retail plant nursery based in Ocean Isle Beach, North Carolina and open to the public. Stop in today and browse our lush inventory in staple shrubs, flowering plants, and trees. You can also count on Two Oaks Nursery to deliver and install your plants! Copyright © Two Oaks Nursery. All Rights Reserved.